It has been 18 months since the dead have risen and civilization fell. Not even the military could stop the zombies, and now it's up to you to gather survivors and build a community with your friends in a post-apocalyptic world – a world where every decision matters, and where you define what it means to survive. Let me start this review off with a little bit of a disclaimer, I’m not much a fan of zombie games, or zombie anything really. Sure, The Walking Dead is a good show, and I’ve watched plenty of it, but I wouldn’t call myself a fan. I don’t look into theories, and only watch it when it’s on. 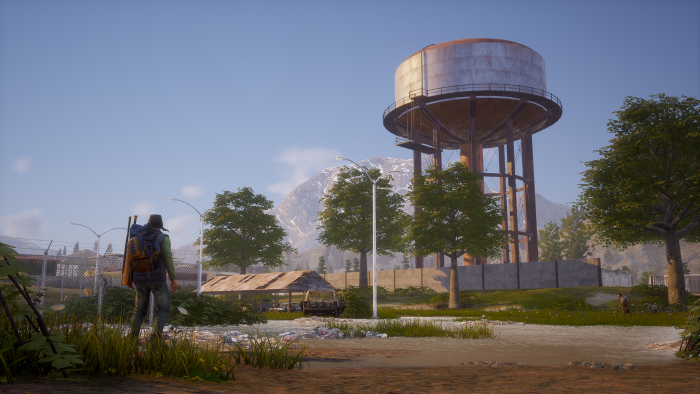 I first saw State of Decay 2 at Xbox’s E3 Press Conference a couple years ago, and it looked interesting enough, but the hype wasn’t there. Of course, the hype for Metro wasn’t really there for either until I saw some of Last Light and decided to give the series a try, starting with 2033 of course. The hype is there for Exodus now as it’s become on of my favorite series. I did the same with Half Life, as growing up the box art and concept didn’t really seem like it would be my cup of tea. It was the hype Half Life 2 built, and the launch of Steam with free Half Life that finally got me to try it out. Needless to say, I played Half Life, Opposing Force, and Blue Shift prior to the release of Half Life 2. If you can’t tell, I tend to sleep on excellent franchises before being convinced to give them a try. That, and I’m wrong, a lot. 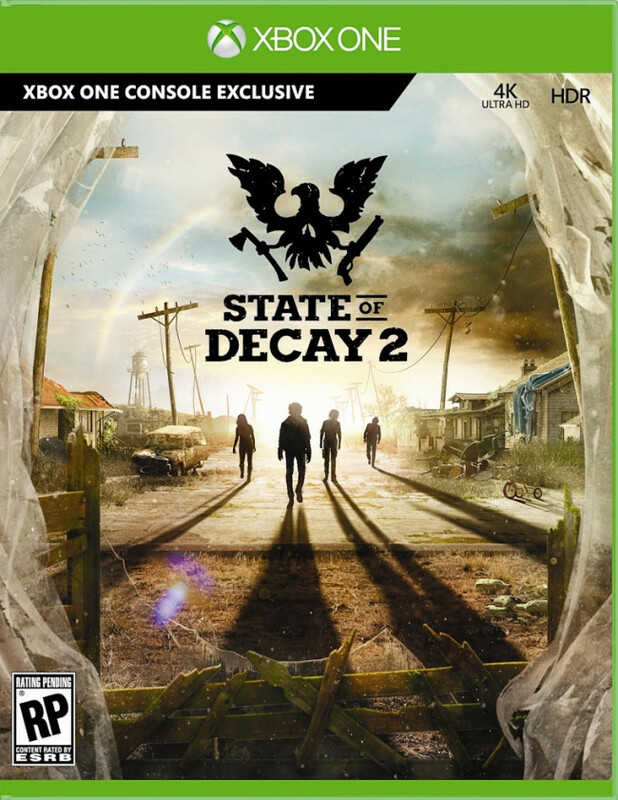 Microsoft decided I shouldn’t sleep on State of Decay either, as they nicely enough provided me with a review copy to try the game out, and I’m glad they did. No, this isn’t as great as Half Life, and isn’t going to rank up there with the Metro series for me, but this is a game worth your time. 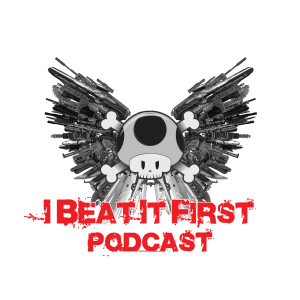 It all starts out with you selecting your starting two characters, yes two. 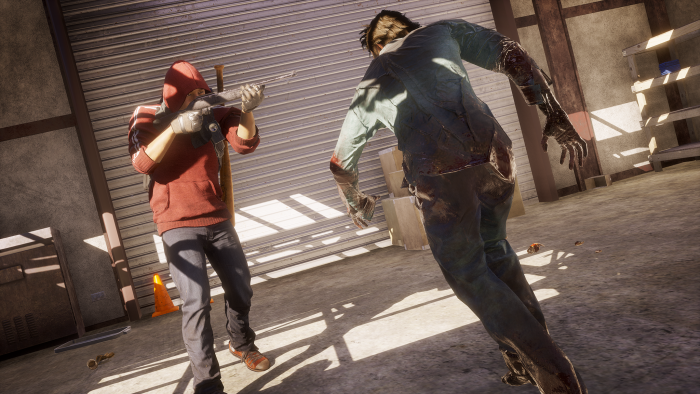 In State of Decay you control a community, not just one person. You switch between them as you see fit as you try to survive. Cycle through pairs of characters, seeing their personality, background, and starting skills. Once you select your starting pair, you are ready to head out into the zombie infested world. On the run, you make it to a refugee camp set up by the Army, only to find it abandoned. You make your way through it fighting the occasional zombie as you search the place for supplies. Its hear you learn about slow search, or fast search. Fast search makes more noise and will alert zombies of your position, so it’s best to use caution here. You also learn that your weapon will not last forever, as your bat eventually breaks and you have to find a new weapon. 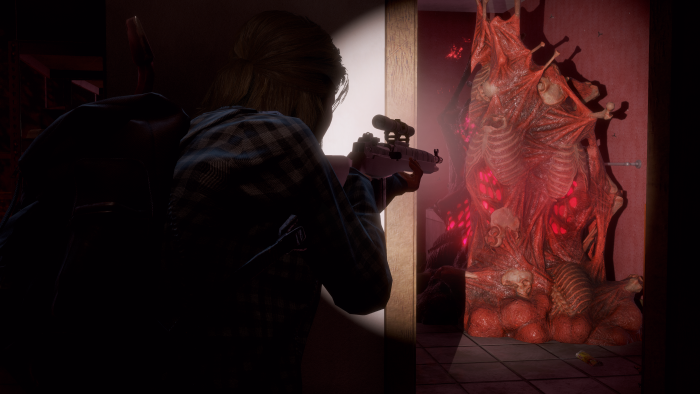 Things then get a little more serious, as you encounter a blood plague zombie and one of your members gets infected. Sick and on the run, you run into a doctor and Army solider still left behind. The doctor has a cure for blood plague, but not enough materials to make it. The four of you set out to one of three areas of your choosing in a car to establish your community. It’s here that the game really starts, and gets much, much better. The early part is probably the weakest part of the game, and the only real linear part. Once you establish your outpost, you are assigned tasks to craft the cure, like building an infirmary at your new location. Your outpost is your home, and you can build all sorts of things, from gardens to guard towers. You can also get more outposts by first clearing the building of any zombies, and then walking up to the lantern and claiming the outpost. Outposts give you different benefits, from ammo to nothing but additional beds. To claim an outpost though, you have to have enough influence, which is gained by accomplishing tasks and, well, killing zombies. Zombies are only one worry you have to deal with, as you need food, medicine, and all manner of supplies to survive. Climb towers to get a look around at your surroundings, allowing you to point out points on your map to search for certain supplies. Searching for supplies is what you’ll end up doing most of your time. That, and clearing out zombie infestations that pop up to keep them under control. Zombie infestations will always have a Screamer zombie present, which make a high pitched scream that will have you covering your ears and calling nearby zombies to you. Take them out first if at all possible, preferably with a gun. As you use your characters, their skills will also improve. Once a skill is fully leveled, you’ll be able to specialize in a new ability, adding a RPG element to the game. Be careful though, as there is permadeath. If one of your members dies, that’s it for them. They also get tired, so it’s a good thing to switch between them regularly to keep fatigue from setting in. Other communities will ask for you help, and you can build a relationship with them and trade supplies. Ignoring them, or doing anything to cause your standing with them to suffer will make them hostile though. The government is gone, and it’s survival of the fittest after all. They’ll sometimes ask to join your community, and this is how you grow it. While a large community may sound good, it is more mouths to feed. It can come in handy though when an approaching hoard takes a liking to your outpost and decides to raid it, making you have to defend it, or die trying. Should one of your members get the blood plague, and you don’t have enough samples to craft a cure, or maybe you just hate that person, you can euthanize them and end their suffering before they turn. You don’t have to do this alone though, you can create a multiplayer game with up to 4 players in co-op, with each of you controlling your own community. As this is a per-release version, none of my friends have the game, so I haven’t explored this option yet. This is probably for the best though, as my friends are just as likely to sabotage and steal from me as they are to help me survive. 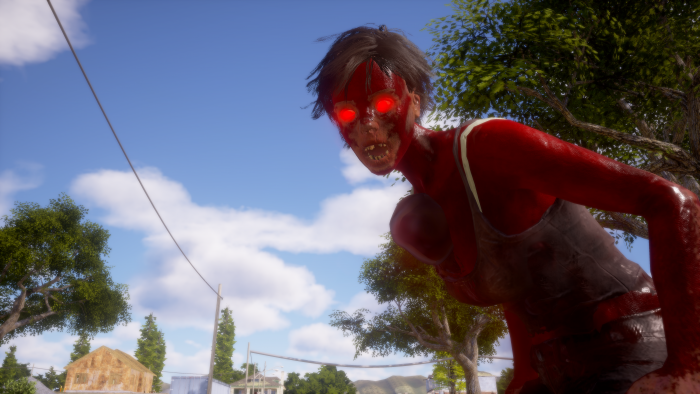 Undead Labs have created a game that plays extremely well, with switching from ranged combat to melee super quick and easy. Xbox Play Anywhere is a nice touch as well, as I was able to play it on my PC, but can just as easily switch to my Xbox One and pick up right where I left off. If you are a fan of The Walking Dead, then this is a game you have to play. Build your community and survive as long and as best as you can. A lot of challenges will be thrown your way, and they’ll only grow as you survive longer and longer and try to rebuild the world. Not a huge fan of The Walking Dead? Not a huge fan of zombie games like me? Well, I’d say still check this game out, as it is a solid game that really surprised me on how much I enjoyed it, especially at $30. Hell, at $30, if you have an Xbox One or Windows 10 PC capable or running it, then I’d say pick it up.